Niagara Falls Boulevard is seen with Tonawanda on the left and Amherst on the right. 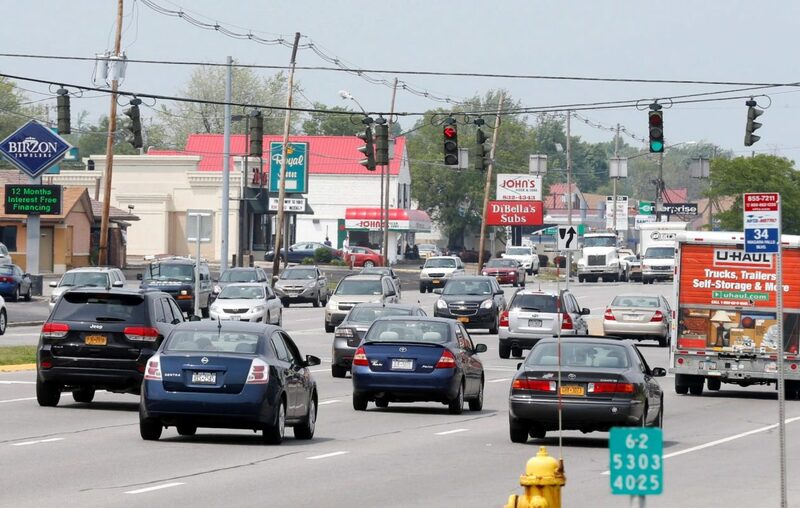 Traffic signal upgrades are scheduled to begin next week on a portion of Niagara Falls Boulevard in Amherst and the Town of Tonawanda. Daily lane closures are scheduled to begin Tuesday between Rochelle Place and Green Acres Road for the maintenance work, according to the state Department of Transportation. Work will take place between 7 a.m. and 3:30 p.m., and is expected to last for approximately six weeks. But instead, Robert C. Logel used most of the money for car payments, college tuition, rent and cosmetic surgery, according to U.S. Attorney James P. Kennedy Jr. And he started the scheme just months after he was released from prison for defrauding two victims out of nearly $3 million. The 55-year-old pleaded guilty before U.S. District Judge Frank P. Geraci Jr. to wire fraud and tax evasion in his latest caper. On April 19, 1995, the nation was in shock when bombs exploded at the Murrah Federal Building in Oklahoma City. A frantic scene followed, with first responders rescuing survivors and recovering the dead and law enforcement scrambling to put the pieces together. 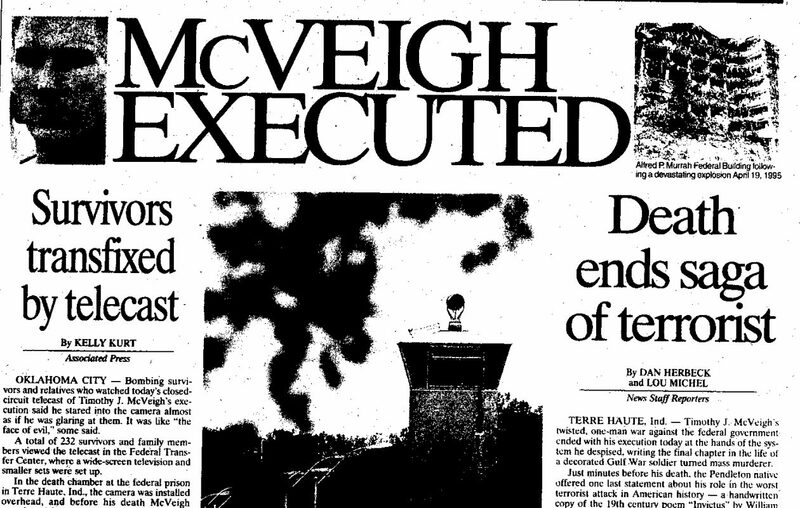 Hours after the bombing, Pendleton native Timothy McVeigh was arrested. The news that a Niagara County native was the Oklahoma City bomber sent shockwaves through Western New York. A Noco Express store in Depew. A familiar local name in the convenience store business will soon disappear. And not for the first time. 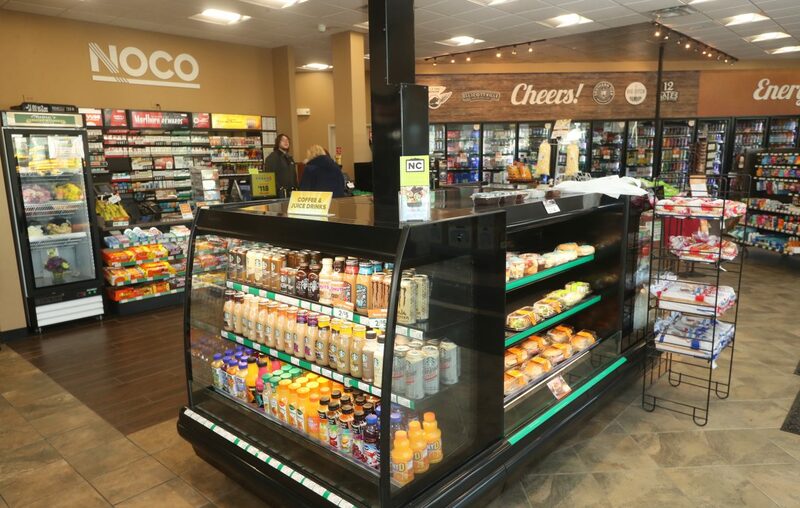 Noco Energy Corp. has agreed to sell 33 of its Noco Express convenience stores and gas stations to industry giant Marathon Petroleum. Once the deal is complete, the Noco stores will be rebranded as Speedway, one of the biggest chains of its kind in the nation. The story has a familiar ring. Back in 2011, the Wilson Farms chain of 188 stores was sold to a different convenience store powerhouse, Texas-based 7-Eleven. Other deals have recently changed the name of the stores where Buffalo-area customers can pull in to refuel, buy coffee and grab snacks. Late last year, Marathon bought the Express Mart chain, which included 10 area locations, and turned those stores into Speedway locations. And earlier this year, Sunoco bought four area gas stations from Schmitt Sales. Get used to this type of consolidation, if you haven’t already. 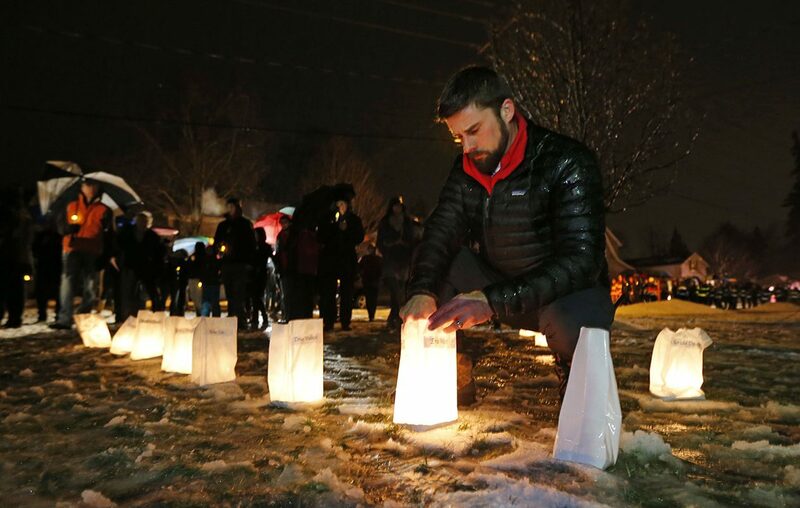 Phil Johnson tries to keep luminaries glowing at the site where Flight 3407 crashed during a vigil earlier this year. He lost his father-in-law Kevin Johnston. 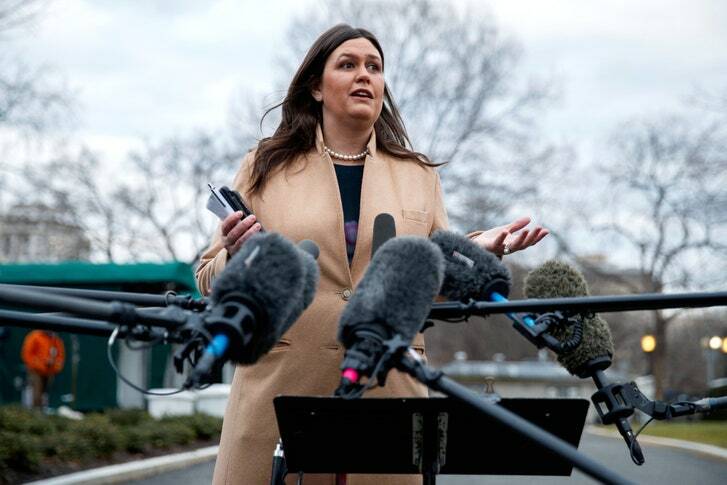 WASHINGTON – The Families of Continental Flight 3407 spent 90 minutes Wednesday with the nation’s transportation secretary and its top aviation official. The marathon meeting left the Buffalo-based group confident that there’s no Trump administration effort to water down the aviation safety law Congress passed in the wake of the crash that killed 50 in Clarence a decade ago. About a dozen members of the group met with Transportation Secretary Elaine Chao and Acting Federal Aviation Administration Administrator Daniel Elwell. The family members said afterward that Chao and Elwell seemed receptive to speeding up the last remaining task under that law: creating a pilot records database aimed at preventing airlines from hiring bad pilots. Most notably, though, Chao alleviated the families’ fears that the Trump administration would try to change the most controversial part of the law, which mandates that pilots and copilots have 1,500 hours of experience before joining a passenger airline. The Buffalo Bills’ schedule may be without a primetime slot this year, but the Bills will have the rare chance to play on Thanksgiving. Buffalo will play at the Dallas Cowboys on the holiday for the first time since 1994, when Jim Kelly set a franchise record for completion percentage. Buffalo went 6-10 last season and finished third in the AFC East. 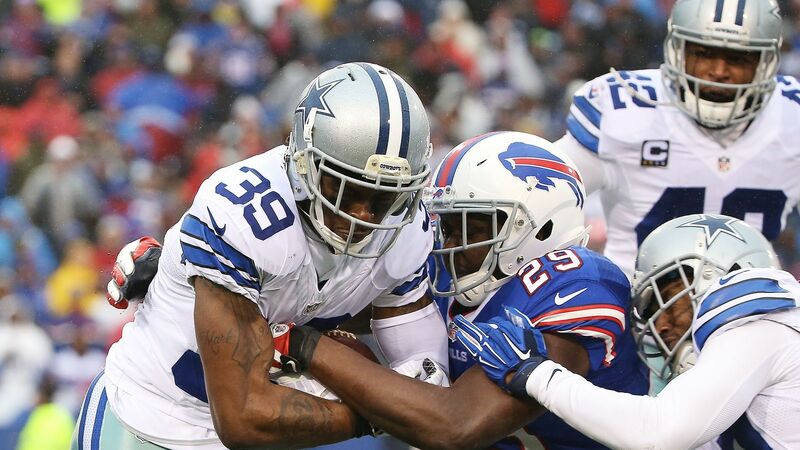 Playing a third-place schedule the Bills face just four teams that made the playoffs last year. The schedule features matchups with the NFC East and AFC North along with games against the Tennessee Titans and Denver Broncos. Josh Allen will have a combined four games against three of the four other quarterbacks selected in the first round last year, including a Week 10 contest with Baker Mayfield and the new-look Cleveland Browns. In a morbid experiment which raises questions about the barrier between life and death, scientists have ‘revived’ pig brains hours after slaughter. The researchers found that cell death could be halted, and connections in the brain could be restored, even after death. But the thirty-two pig brains collected from an abbatoir showed no signs of consciousness, the researchers said. The Yale team use pumps, heaters, and bags of artificial blood at body temperature to keep the brains alive. Researchers found working synapses – connections between brain cells – and a normal response to drugs. This all happened 10 hours after ‘death’ – although EEG scans of the brain showed no signs of consciousness. Prof Nenad Sestan, a professor of neuroscience at Yale University, said: ‘Cell death in the brain occurs across a longer time window that we previously thought. ‘What we are showing is the process of cell death is a gradual, stepwise process. A newly found asteroid the size of a double decker bus will give our planet a close shave tomorrow, astronomers have warned. Earth will be entirely safe: the asteroid will fly past at a distance of 0.57 lunar distances, or 136,000 miles. The asteroid was spotted by the Catalina Sky Survey, Arizona, on A[pril 9, and is thought to be between 42-92 feet. Sol Pais, the 18-year-old Florida woman who was said to be “infatuated” with 1999 massacre at Columbine High School, was found dead Wednesday near Mount Evans in Clear Creek County, west of Denver, officials there said. Pais was found with a self-inflicted gunshot wound, Jefferson County Sheriff Jeff Shrader said during a press conference. Clear Creek County Sheriff Rick Albers told the Denver Post that Pais was found dead on a trail about a half mile from a lodge at the base of Mount Evans at 10:50 a.m. local time. A shotgun was located nearby, Albers said. The FBI announced her death in a tweet.